Isolated holiday homes are being targeted by criminal gangs, who are raiding several at a time for items to sell on the black market. An owner arrives at his cottage to find it in disarray. He visits a neighbour’s cottage, owned by a television personality, to discover a man who has been shot and beaten. Inspector William Wisting is assigned to investigate the case and the first indication that the crime is more complex than most murders is when he is carjacked leaving the scene. Next the corpse disappears. Meanwhile, Wisting’s journalist daughter, Line, separates from her partner and moves into the family cottage at the mouth of fjord and takes an interest in the case. Slowly Wisting starts to make headway, carefully uncovering clues as to what happened, but it’s clear that the initial murder was the start of a set of crimes not the conclusion. 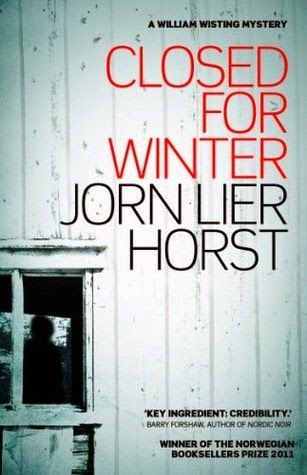 Closed For Winter is a very nicely written social realist police procedural, with none of the amateur dramatics and melodrama that pervade some books in the sub-genre. Given it’s written by a practicing police officer, this is perhaps no surprise. Horst drops the reader into the investigation, revealing the logic of how clues are pursued, collaboration takes place, and the case unfolds. Moreover, he situates the story within in wider themes of EU enlargement, immigration, social inequalities, and organised crime. The result is a convincing and credible story that charts the unfolding of an investigation into a case that turns out to be much more complex than first meets the eye. Horst does weave in the personal life of Wisting and his journalist daughter, Line, but more as context rather than as a dominant theme - the effect is the case remains the key focus rather than the investigator. That said, the characterisation is nicely observed, and Wisting is certainly a detective a reader could spend time with. Overall, a well written and engaging police procedural and I’ll certainly be reading other books in the series. Comic for April 23, 2019 - Dilbert readers - Please visit Dilbert.com to read this feature. Due to changes with our feeds, we are now making this RSS feed a link to Dilbert.com. 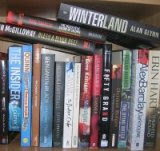 Wanted: new book title - please help!